Jim Rutherford said the plan all along was to call up DeSmith for one game against the Jets on October 29th. This allowed Jarry to play the 27th against Hershey and the 28th in Bridgeport. Jarry was then later recalled before Pittsburgh went on their western Canada road trip. Jarry got the start against Calgary, while Murray started against the Oilers and the Canucks. The Penguins likely are in the market for a more veteran NHL backup. Looking forward through November’s games , it doesn’t appear that there are many starts that will be heading Jarry’s way. Especially if you believe the company line that Jarry needs to play, not ride the bench the rest of the month. Pittsburgh is on the road against the Caps and the Preds the 10th and 11th. Jarry likely will be playing against the Preds. WBS plays three times next week on the 8th, the 11th, and the 12th. If Jarry were in WBS he’d likely get 2 of those games. Sens if the Pens are serious about playing Jarry. If not, Jarry should be sent to WBS to play on the 17th. Pittsburgh closes out the month playing on the 22nd , 24th, 25th, and 27th. The only start likely headed Jarry’s way there is on one of the back to back games. Jarry should start on the road on the 24th against Boston. Starting Jarry at home on the 25th against the Lightning is not a good idea If the Pens are trying to grow Jarry’s confidence this season. Two goalies and one spot. Meanwhile WBS is home the 22nd, 24th, and 25th. Jarry would easily get 2 of those games if he were in WBS. If Jarry is returned to WBS, it’s likely he will play 5/ 8 of the games this month. In Pittsburgh, Jarry is likely to get 3/11 games. Pittsburgh does have a very busy stretch coming up. Murray certainly won’t be able to start all of those games. However, Jarry can clearly get more starts in WBS this month. 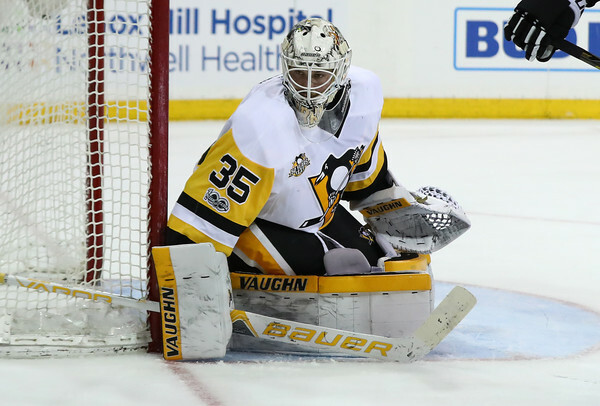 If a capable (or even semi-capable) veteran NHL backup pops up on the waiver wire, Pittsburgh should make a move to claim. This goaler would only need to turn in league average goaltending for 3 games this month. 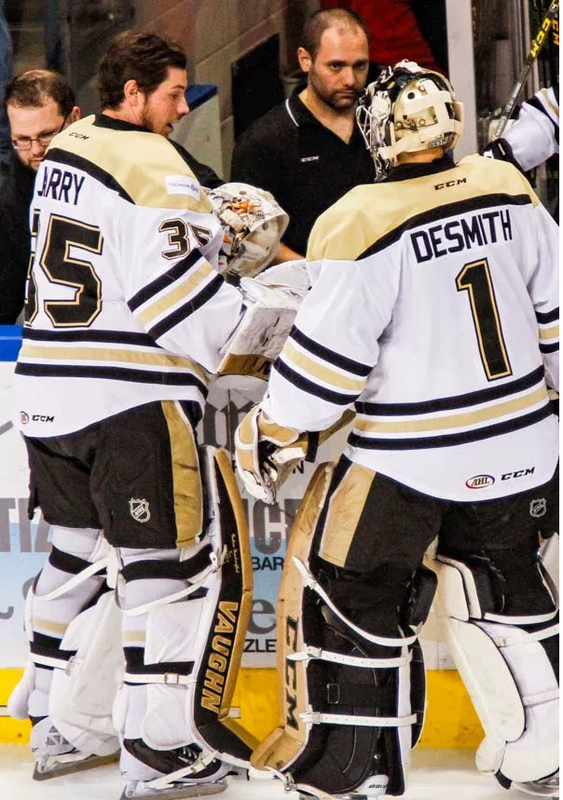 Conversely, DeSmith could be called up again to let Jarry get the bulk of the starts in WBS. Calling DeSmith up for one game was a curious move. I’m very suspicious that that was the plan all along, and I suspect that there is more to the story that we simply do not yet know.